Victor Jules GENISSON came to study at the Royal Academy Of the Beaux-Arts of Antwerp under the leadership of the brothers VAN BREE. 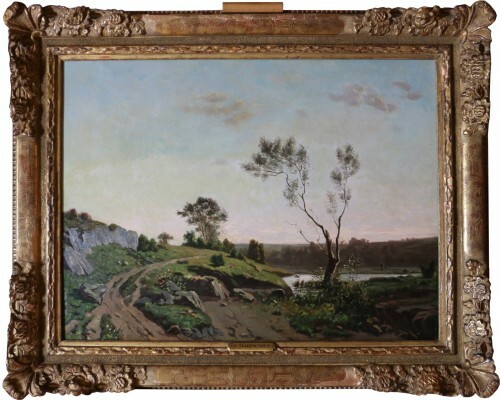 In 1829 he traveled to Germany, France, Italy and settled in Louvain. 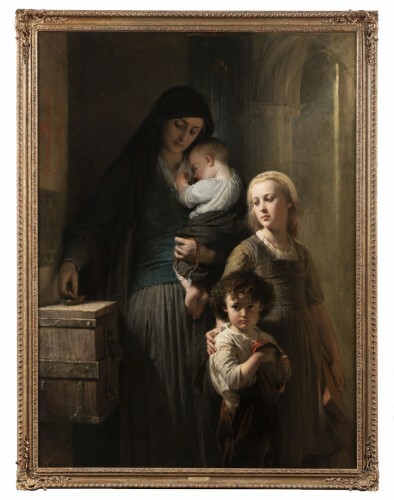 GENISSON was active primarily as a portrait painter and history painter, but he was recognized as a painter of urban and interior landscapes of large buildings, especially Gothic churches. 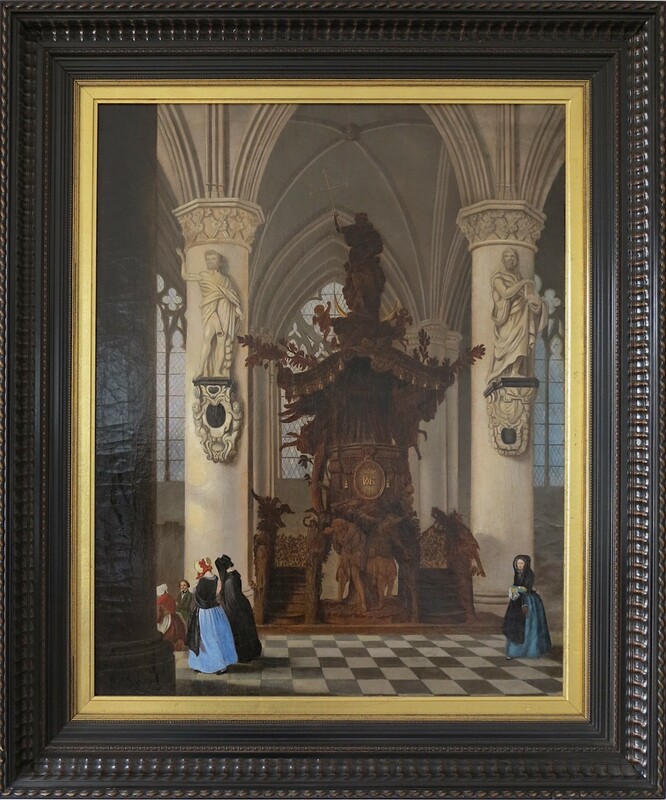 These interiors of painted churches were designed with historical precision and furnished with contemporary figures. His use of perspective is perfect. 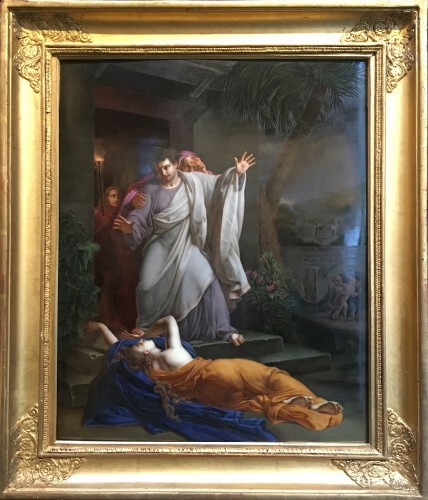 GENISSON was one of the few Belgian painters who opted for the somewhat marginal discipline of interior painting in the same way as Joseph Christianus NICOLIE (1791-1854), Frantz VERVLOET (1795-1872), Bernard NEYT (1825-1880) ), Jan Baptist TETAR VAN ELVEN or Jan GEERAERTS (1814-1890). 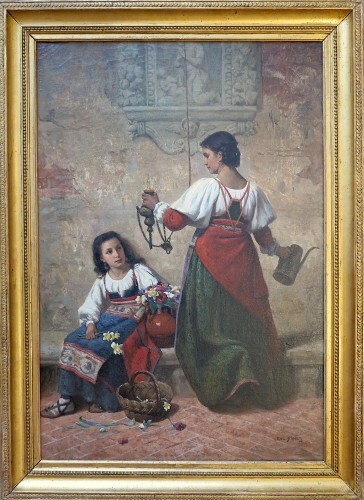 His style reflects the "romantic realism" characteristic of his era with a faithful representation of reality. 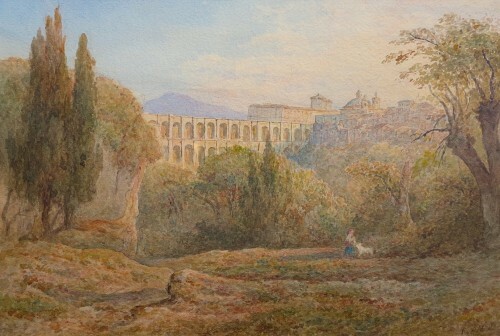 He exhibited at the Salon de Paris in 1843 and 1850, views of convents and Gothic churches. The cathedral Saints Michel and Gudule is the cocathedral of the Catholic archdiocese of Malines-Brussels located in Brussels. It is dedicated to Saint Michael and Saint Gudule. 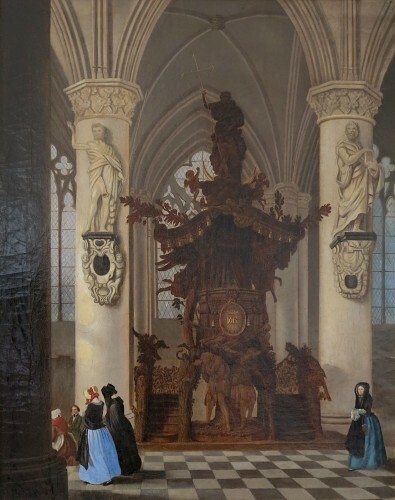 It was not until 1962 that Brussels, previously dependent on the Archbishopric of Mechelen, where the primate of Belgium resided, was associated with this episcopal see, under the title of Diocese of Malines-Brussels. It was thus that this collegiate church was promoted to the rank of cocathedral. The construction of the present building begins with the choir in 1226. The nave and transept that date from the 14th and 15th centuries are in Brabant Gothic style. 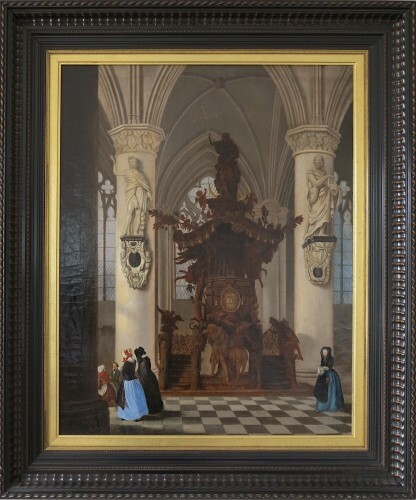 The nave has a baroque-style wooden pulpit - the object of our painting - carved by Hendrik Frans VERBRUGGEN in 1699. The base represents the fall of Adam and Eve, driven out of the garden of Eden after picking the forbidden fruit. At the summit, the redemption symbolized by the Virgin (as Saint John in his Apocalypse described it: standing on a crescent moon, the head crowned with twelve stars) and the Child piercing the serpent's head with a spear.